Azalea has always been just one short step away from disaster. As a child, her mother is abducted and murdered on Midsummer's Day. Azalea is left alone at the fairground with no family and no answers. Exactly one decade later, her adoptive parents are killed in another country, halfway around the world. Azalea is narrowly rescued. Azalea is now an adult who loves teaching literature and living in London. But she is terrified. Midsummer's Day is just around the corner and it has been 10 years since the death of her parents. She fears that this time, she will be the one to die. Can she shape her own future or have her life and death already been determined? In Coincidence, our protagonist is a woman who has been left without answers. She doesn't know who her father is, she doesn't know for a long time what happened to her mother, and she doesn't understand why she was rescued from the horrible uprising that took her adoptive parents from her. As Azalea's panic mounts, she sets out to find answers from a fellow professor. Thomas Post is a professor of philosophy who specializes in debunking the idea of coincidence. While he initially sees her fears as a failure to consider the statistics, he begins to spend time with her. As Thomas and Azalea grow closer, he begins to worry that her prediction will come true one way or another. These characters grapple with the same questions that we all do. Is there such a thing as free will? Or have our choices already been made for us and we are just following some preordained path? Mr. Ironmonger succeeds in making us ponder these questions without losing the drive of the story or the heart of his characters. It seems inevitable that Thomas and Azalea will fall in love. They meet by physically colliding, in classic romantic style. But there is no guarantee here of a movie-perfect ending. The scars of Azalea's past and the uncertainty of her future cast a very dark and realistic shadow over their relationship. This story jumps all over the timeline, but we spend enough time with each character to genuinely care about them. We travel into the past of Azalea's mother, follow her adopted father in his wild twenties, and even get some added background on the priest who baptized her. One of the most striking aspects of this story for me is the time spent in Africa. Azalea's adopted parents work at a mission in Uganda. Their passion for doing good is under the dark shadow of Joseph Kony and the LRA. I was a bit dubious about Kony and his terrible army as characters in this book because using real life figures, especially those that are so recent and so reviled, is a tricky business. Ironmonger manages to pull it off and creates such perfect tension that you may find yourself holding your breath. It's not every writer who can make you ponder the big questions of life as you desperately flip pages to find out what will happen. I have a feeling that J.W. Ironmonger's days as an author who is unknown to US readers are over. 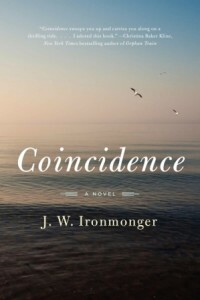 J. W. Ironmonger was born and raised in East Africa. This is his first novel published in the United States. 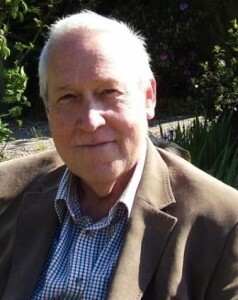 He lives in rural Shropshire, England, with his wife Sue. Connect with John on Twitter here. Looking for some other opinions about this book? Check out some of the other fantastic bloggers on the tour! This book sounds absolutely fascinating! And I love that a big part of the setting is set in Africa, because other than The Poisonwood Bible, I can't think of any books I've read that do. This is definitely going on my TBR pile! This author really makes you feel like you are in all of these diverse places - a missionary compound in Africa, the busy streets of London, and the tiny coastal towns of England. I'm glad you will be reading it! I appreciate authors who can make me truly know their characters. Sounds like this book is a fantastic read! Thanks for having me! I really enjoyed this book.